On a train, safety-relevant functions such as fire alarm, brake systems or traction converters are controlled through relay cards. Put together in racks, the cards are located near the control cabinet of the locomotive. Each of these cards contains several safety relays. The triggering signals for the safety functions come from the train control cabinet. Relay contacts route the signals via rear connectors on the chassis to the executive units distributed throughout the train. 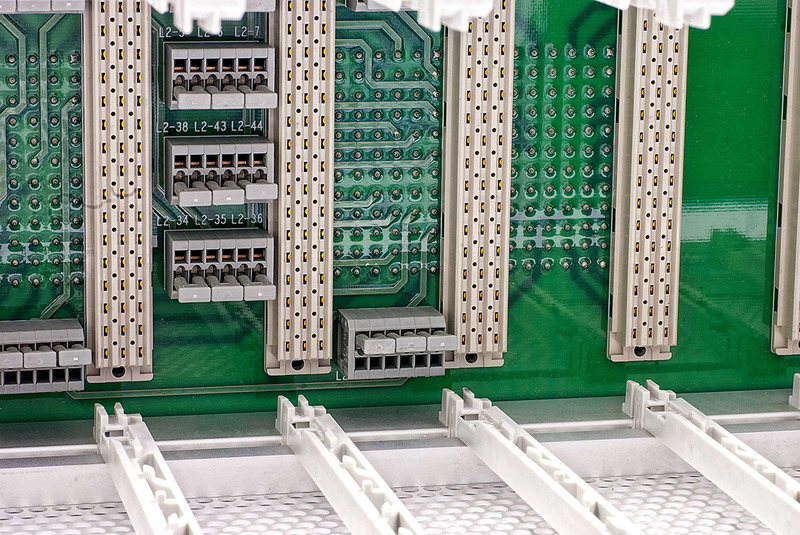 HARTING offers a solution in which the complex hardwiring of relay card racks is replaced by simple plug-in connectors. 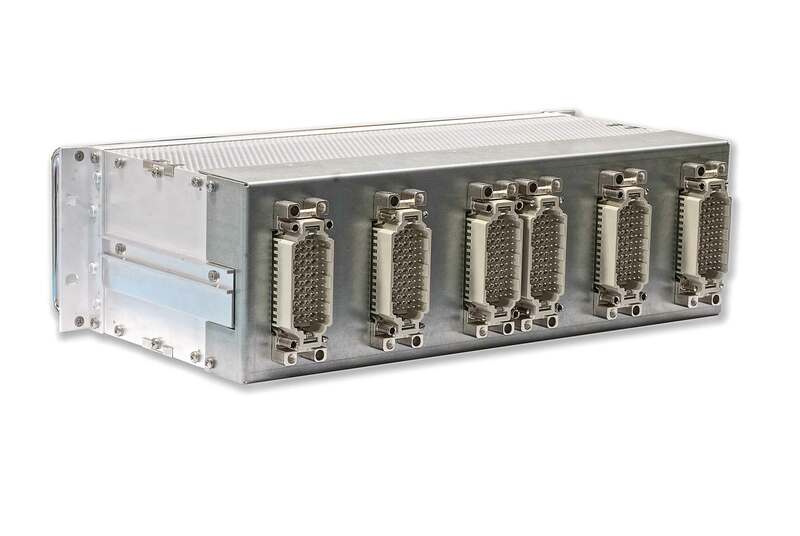 Until only recently, rail vehicle manufacturers used to work with hardwired chassis solutions, so-called DIN 41 612 connectors. The rack concept of the Euro 3000 by Vossloh e.g. was previously based on hard-wired connection between relay cards and rear connector, as well as on bus based connections between individual relay cards. Normally, two racks were used requiring 960 single wirings. This meant a huge effort both for the manufacturing of the racks as well as for service, maintenance and replacement. In addition, the design was complicated because floating connectors were required for the hard-wired connections on the chassis. The solution developed by HARTING Technology Group uses direct (mateable) connections between the relay cards and I/O connections, eliminating the need for internal wirings. The result is a solution that is faster and easier to assemble, consuming less space and being lighter in weight. It also distinguishes by a significantly improved ease of maintenance, so that significant advantages in overall costs can be achieved. The 160mm Euro 3000 relay cards are housed into two standard 182.60 x 133.35 mm (19 "x 3U) racks. Each card has a status LED that lights up when the relay contact is activated. With PCB adapters and Han® DD connectors for input and output, the rear connectors are mounted on the same board that is used for the bus connections. A single board controls these connections. Hard wiring is superfluous; a second circuit board is not needed. The individual racks are one-third less deep, because there are no longer any cables between the rear connectors and the relay cards. The flatter shape facilitates access to the rear connector from the front of the cabinet. The new racks weigh less than the old ones: Difference in weight is 40 percent.